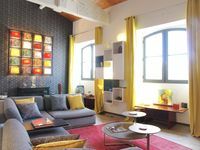 Properties in Pompignac average 4.4 out of 5 stars. BORDEAUX near Mansion combines tranquility, charm and refinement. Property 12: BORDEAUX near Mansion combines tranquility, charm and refinement. ORIGINAL QUALITY + + + PEACE GARDEN TIPS + + PARKING secure: everything is provided! Property 15: ORIGINAL QUALITY + + + PEACE GARDEN TIPS + + PARKING secure: everything is provided! Nice T2 in the heart of Bordeaux with Parking. 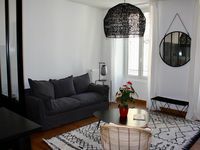 Property 29: Nice T2 in the heart of Bordeaux with Parking.